Italy is the place where at every lunch, at least those worthy of being eaten, the dish that dominates every banquet, from the most frugal to the richest, is His Majesty “the pasta”. The devotion of all Italians to every type of pasta has its roots in the dawn of the most remote times. There is much debate about who really invented pasta, from those who believe that its arrival in Italy came after Marco Polo’s trip to China, to the widely accepted theory that pasta was around long before 1295, a recipe imported by the Arabs to Sicily. The Romans already appreciated its culinary properties back in the day and cooked it in the form of “lagana“, a thin sheet filled with cooked meats, the ancestor of today’s world famous lasagna. In spite of these testimonies that trace the origin of pasta to a remote time in which the men learned to cultivate wheat and make the flour necessary for pasta dough, pasta as main course at Italian tables is affirmed during the popular revolts of the Kingdom of Naples in the 1600s. When the city was hit by a severe famine, the prices of the most commonly consumed goods, bread and meat, reached the stars and the population was forced to find an alternative that guaranteed the right nourishment. Thus the predominance of dried pasta was established, the extruded pasta that we still enjoy throughout the Italian peninsula. 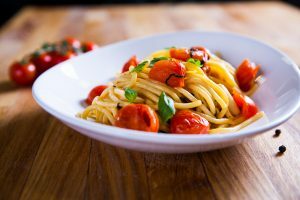 What are the different types of pasta? 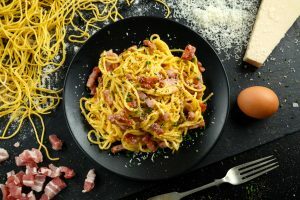 Italians love pasta in all its shapes and forms, and there are also many tourists who, even though it isn’t their habitual main dish, adore pasta, and when they come to Italy they do not fail to enjoy the typical dishes of the cities they visit. How can you not indulge in the robust flavors of carbonara, amatriciana, pici, lasagne alla bolognese, tortellini, cannelloni, trofie al pesto, fusilli with seafood, orecchiette with turnip greens … the list could go on and on with the variety that the peninsula offers. Every part of Italy has its mainstay regarding pasta dishes. To enjoy the taste of tradition don’t hesitate, visit Dragonfly Tours and find out what your next Italian destination will be. First of all, let’s point out the many different types, there is fresh and dried pasta, then, according to taste, you can have pasta lunga (long) or corta (short), which can be either liscia (smooth) or rigata (with grooves). Furthermore, even if it goes without saying, it is necessary to wait for the water, properly salted, to reach a boil before lowering the pasta into the pot. It’s a fundamental rule. The Italians are a very selective people when it comes to the pillar of their gastronomic tradition, and the “doneness” of the pasta is an aspect not to be taken lightly: from north to south most of the inhabitants of the boot prefer their pasta “al dente” rather than cooking it little too long. 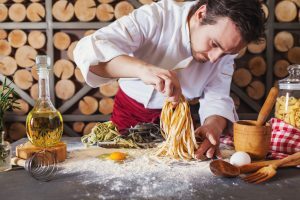 If, during your special 13-day luxury tour of Italy, you want to try your hand at pasta making, just follow a few simple rules and listen to the advice of the chef at your disposal for the preparation of pasta and other traditional dishes. 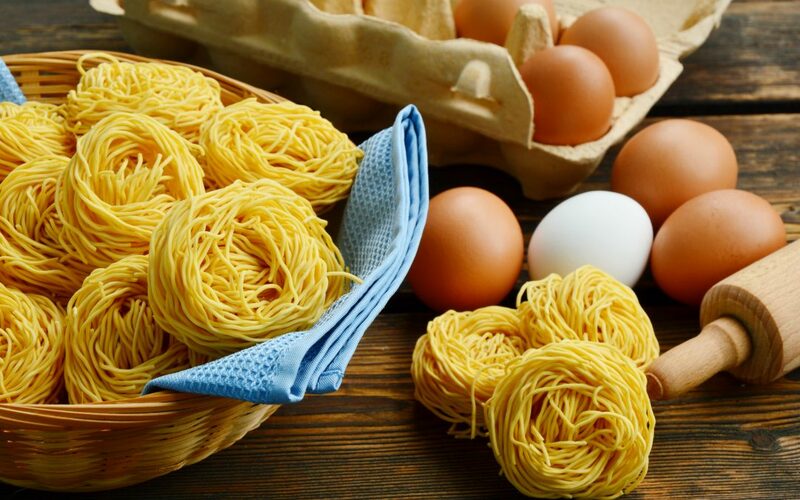 The ingredients needed to make fresh pasta to perfection are flour, water, eggs and salt, a pinch of balance in the measure of the parts and a lot of passion for one of the most beautiful countries in the world!